It’s a little strange at first, but this superfood concoction will grow on you in no time. The best way to describe it is a snack that entertains you. Each sip gives you something to munch on. 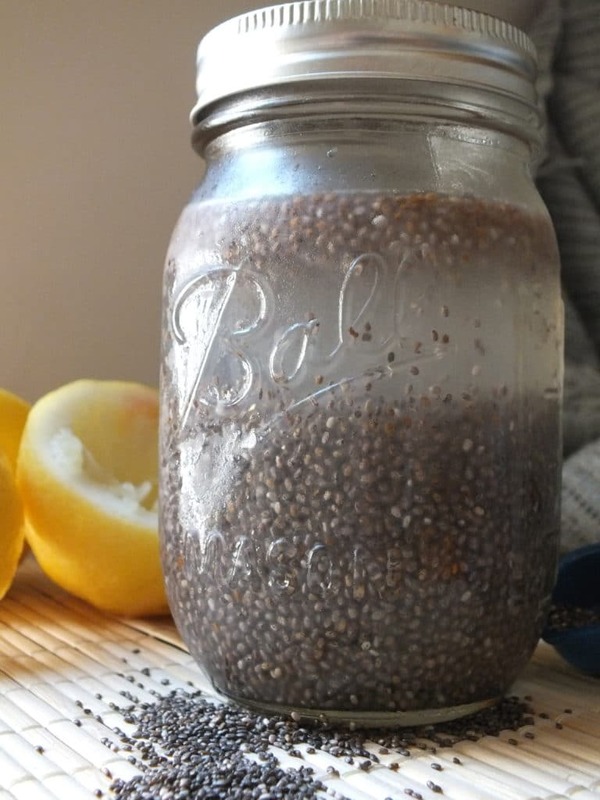 In a glass jar or bottle, add 2 tablespoons of chia seeds. Fill with 12 ounces of water and squeeze the juice from a lemon and a lime – about 1 ½ to 2 tablespoons each. Secure the lid tightly and start shaking. Mix it up, twirl it around, back and forth, etc. Just make sure there are no clumps of seeds floating around or seeds stuck to the bottom or sides of the jar. Refrigerate it and remove it to shake every 10 minutes or so. After finishing your drink, expect to be surprisingly full. And it sticks with you for a couple of hours! Don’t worry – it’s good enough [and good enough for you] to make you shrug off the concerned stares from anyone who sees you drinking it. Chia has been a superfood since ancient times. There is evidence that Aztec warriors ate it before heading into battle because it kept them full and energized for 24 hours. 2 tablespoons only contain 60 calories. This serving packs around 5 grams of protein, almost 10 grams of fiber, a significant amount of calcium, and essential amino acids. Drink up! A delicious superfood drink that is filling and satisfying. 1. In a glass jar or bottle, add 2 tablespoons of chia seeds. Fill with 12 ounces of water and squeeze the juice from a lemon and a lime – about 1 ½ to 2 tablespoons each. Secure the lid tightly and start shaking. Mix it up, twirl it around, back and forth, etc. Just make sure there are no clumps of seeds floating around or seeds stuck to the bottom or sides of the jar. 2. Refrigerate it and remove it to shake every 10 minutes or so. What a fun drink! :) The chia seeds have such a fun texture. I can’t wait to experiment with different “flavors”! Thank you for a great idea. Sounds really refreshing! 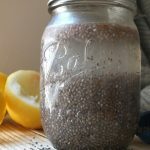 I love chia seeds and can’t wait to try this drink. YUM!